Thank you again SO MUCH for your time at class!!! I loved your presentation! I think that first worksheet is invaluable! 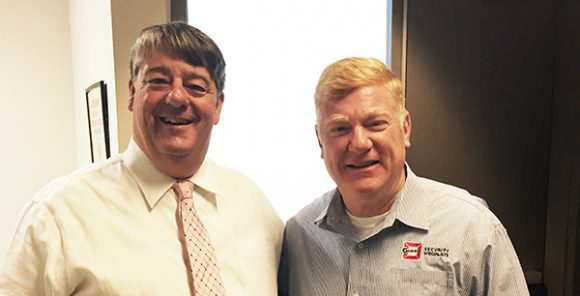 My engineering director and I would love to work with you to train our managers and engineers! The format of Glavin’s class is perfect for managers of every level. It is accessible, easy to follow, and is full of critical detail. The worksheet is an invaluable tool! Many thanks again, Tom! 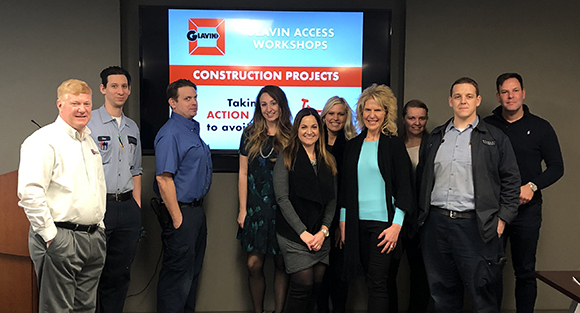 Your Glavin Construction Workshop was a great fit for the ‘Capital Projects/Construction Management’ theme of our CBRE semi-annual Chief Engineers Meeting. Your attention to detail regarding access systems specifications and how often they are overlooked in a project were a great subject for our Engineering Operations team as a reminder to be thorough and understand the complexity and lead times of the access systems materials. I found the workshop to be extremely informative and valuable. As a Chief Engineer with Almost 15 years of experience in the field, and numerous locksmithing courses under my belt, I was pleasantly surprised to learn things I had never been introduced before. The information that was provided will be extremely beneficial going forward in my career. Thank You, It was a very enjoyable and informative workshop, definitely on point with what we do and deal with every day in the building. 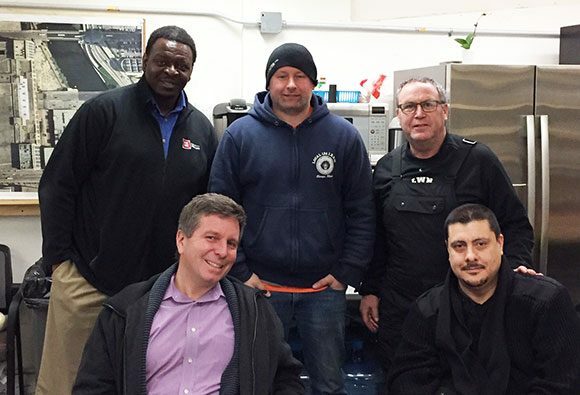 The Work shop was informative and answered many questions, and a lot of thought has went into the entire Workshop Presentation, I was very impressed to see a Locksmith / Security Company take the subject so significantly and expansively into a Depth and brought the subject to a laymen’s understanding. Thanks again it was really great to attend and learn from you!! I thought the Building Standard worksheet was particularly useful, it provides all the necessary information for distribution at the beginning of a project. I also thought the questions regarding planning, and the time frame it takes to accomplish obtaining hardware and keys particularly, and how the equal to scenario can have an impact on future costs. Just overall, the workshop made you think more in depth about something in the grand scheme of a large construction project, seems to be a minor detail that can potentially have huge impact on a projects on-time completion. Thanks again for the great workshop and your presentation as it was very informative. I personally enjoyed it because along with my Asst. Chief Mike McComb, I probably handle the bulk of our lock/key work at 190. I really liked the “I Speak Locksmith” booklet that you included in the workshop. This booklet is a wealth of information and seems to bridge the gap from some of the old antiquated information that we currently have. Your workshop seemed to delve into the past, present and future of lock/key systems and I really look forward to learning more of the future systems. One last note….. the fact that you yourself took part in leading the workshop was in my opinion, a very nice and personal touch. It seems that in this day and age of modern technology and social media, that personal touch has kind have been lost or forgotten in a lot of professions. I really think the work sheet for the building standard lock is beyond valuable. Especially after learning of all the interictal parts that go into the locking mechanism and also how an off brand may not always work perfectly because of the keyway. It was also nice to see how the part numbers correspond to the 14 moving pieces needed to procure the proper lock. Thank you for taking the time to teach us! Thank you for teaching the workshop yesterday evening. I do not have much experience with lock/key systems, so the entire workshop was very insightful for me. Dear Tom – I wanted to drop you a note to comment on the Glavin Construction Workshop held recently for the Engineers and Property Managers at the John Buck Company. 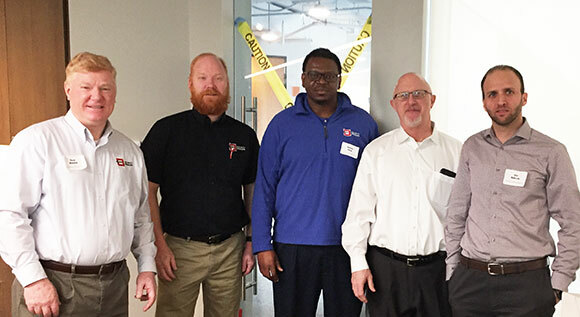 As usual, your company and staff has provided insightful easy to understand training regarding the nuances or our building’s locksmithing needs during the construction process. The “I Speak Locksmith” booklet and the building standard worksheets will serve our employees for the remainder of their careers. Many thanks again to you and your staff for their continued dedication to our industry. The material covered in the workshop is a crucial component and, in many instances, a component overlooked. I thought Tom and his team of experts covered all necessary points and did so in a manner which kept the attendees engaged. By providing simple organized tools, they ensure that a property has everything they need to make sure steps are not missed, because when they are, projects become delayed, which impacts Tenants, Landlords, and Owners. 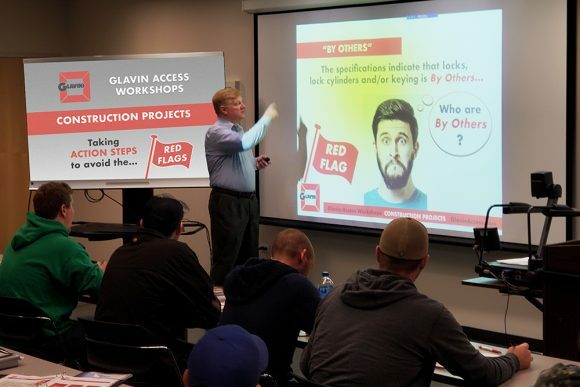 I found the workshop to be beneficial and would recommend it to property management professionals, looking to learn more about the keying process during construction. It was a thorough presentation and the handouts and guide were a nice takeaway. I thought the workshop was great. Your PowerPoint presentation was informative and I thought you presented it very well. I was most interested in the end of your presentation when you spoke about wireless access systems as being the wave of the future. Thank you for spending your time with TJBC and Able. The entire workshop is extremely beneficial and a nice reminder of where the industry has been and where it’s going. The aspect that had the most impact for me was how simple you’ve made it to make sure this aspect of work in the building goes smoothly. We do have a tendency to leave keying and locks until the end of a project which can make for a difficult turnover to the tenant. Addressing the needs early with the information on the detailed worksheet will ensure a smooth project. The discussion on wireless locks was also quite informative and brought a product to my attention that I was not aware of. Thank you for taking the time to give us such a thorough workshop. Thanks Tom, I liked hearing the engineers’ thoughts on the topic and learning what questions to ask at the beginning of a buildout so we can be better prepared for handing the tenant keys at the end of the project. It’s definitely a topic that commonly gets overlooked so I felt it was a very relevant discussion. 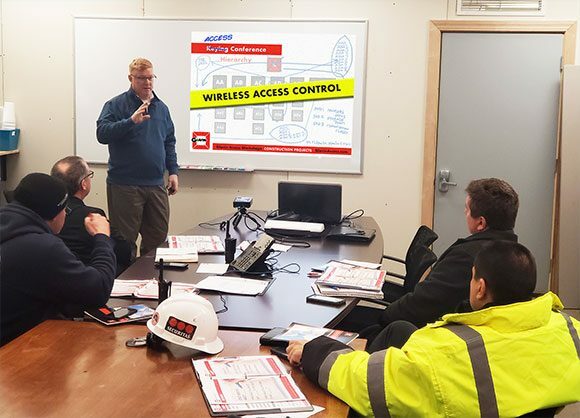 Tom Glavin emphasizing the importance of Wireless Access Control during an Access Conference. 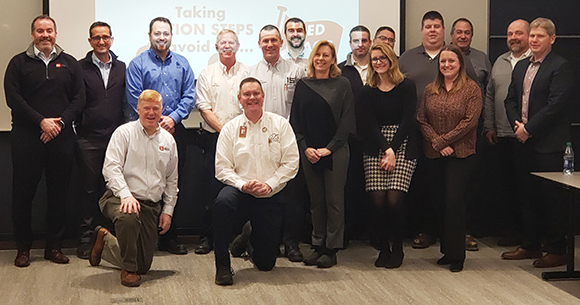 Grateful to the team at STERLING BAY for their kind words about our recent Workshop! Thank you to The Wrigley Building Team, the 2017 International BOMA TOBY winner, for hosting our workshop. We are grateful for the terrific feedback from this award winning team! Please click HERE to request your complimentary workshop.